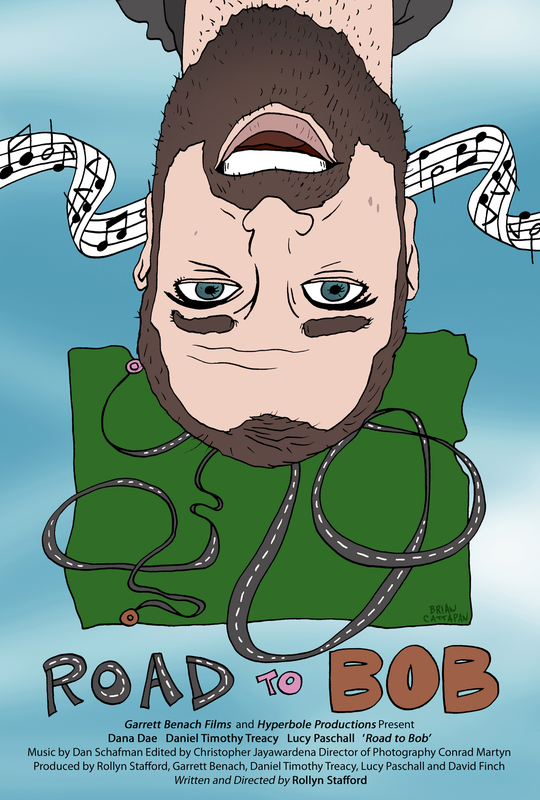 My 2rd Alternative illustrated movie poster for the feature indie comedy film, Road to Bob. 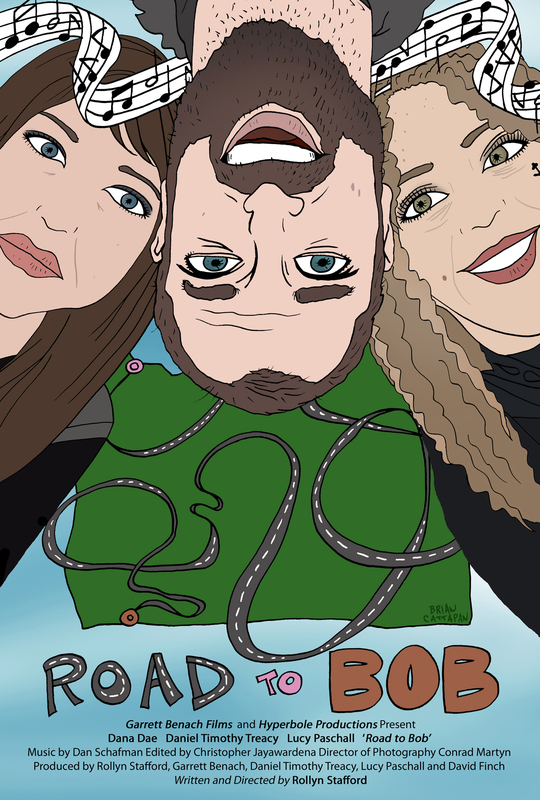 (2018) Made in Oregon by Hyperbole productions, Garrett Benach Films and Rollyn Stafford. It was fun to do creative work for these people and the movie looks quite entertaining. They eventually went with using the 4th poster I designed with all three characters together.